The Bridge Room was named Restaurant of the Year at this week's The Sydney Morning Herald Good Food Guide 2016 Awards. The restaurant, run by husband-and-wife team Ross and Sunny Lusted in Sydney's CBD, also won a coveted third hat at the awards and, in doing so, gained entry into an elite three-hat club comprising Quay, Rockpool est. 1989 and Sepia. The guide - the bible when it comes to restaurant ratings in Australia - also declared Pasi Petanen, of Cafe Paci in East Sydney, to be the Citi Chef of the Year, describing him as "a chef's chef and in possession of one of the most forward-thinking idiosyncratic food brains in the country". Sydney's most anticipated opening of the year, Bennelong, housed under the soaring sails of the Sydney Opera House, also got a gong, taking out Best New Restaurant and debuting with two hats. The shoebox-sized 22-seat Fleet Restaurant, in Brunswick Heads, on the far north coast of NSW, also gave us something to shout about, taking out Regional Restaurant of the Year, which denotes it is as a very good restaurant - especially considering the company it keeps. In this year's guide, 100 of NSW and ACT's top eateries received a total 137 hats; of these, 36 were awarded in the regions. Interestingly, there are now more two-hatted restaurants than ever before. Chief restaurant critic of The Sydney Morning Herald, Terry Durack, says he's always more excited when the greatest amount of action comes with the one-hatted restaurants than the three hats. 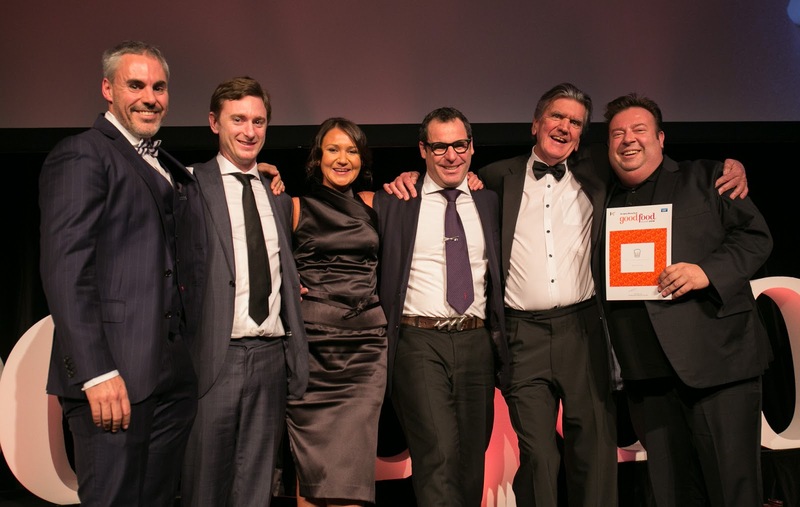 Chef Peter Gilmore and team onstage with SMH chief restaurant critic, Terry Durack. Photo: Lucas Jarvis. "This means the quality of dining out is getting better from the ground up, not just from the top down, and that's what we're seeing reflected in the new Good Food Guide," he says. Lauren Elridge, pastry chef at Marque, was also recognised as being one of the brightest young talents on the NSW dining scene as the fifth woman to win the Josephine Pignolet Award in its 25-year history. The talent was more pronounced than ever this year in a dining landscape that the new editor of the Good Food Guide, Myffy Rigby, describes as "not so much competitive as collaborative". 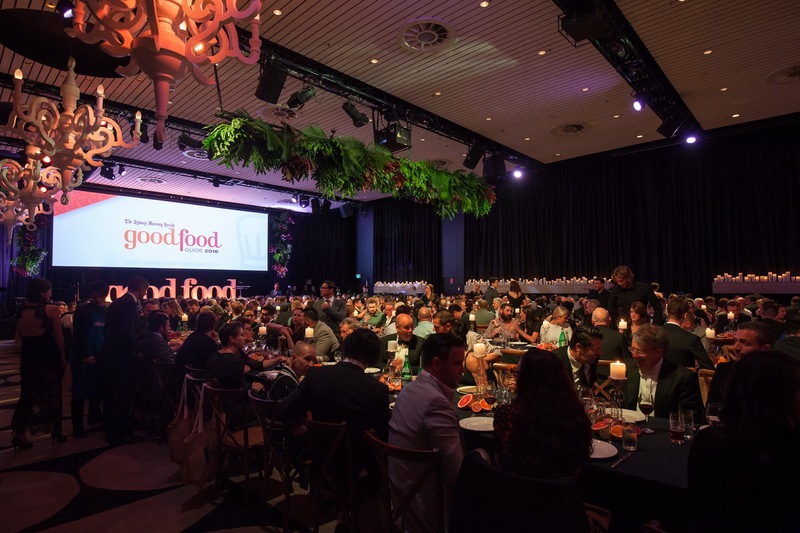 The Ivy Ballroom was transformed for the Good Food Guide 2016 awards. Photo: Lucas Jarvis. "Chef collectives across all faiths have formed. It's bred a city with an irreverent streak a mile wild, seasoning Sydney with a Japanese-Italian flavour that's very often grilled over charcoal, woodfired over individual twigs and broken up with the odd bacon doughnut," she says. The new stars on the drinks scene in the 2016 version of the guide include Brent Savage and Nick Hildebrandt, who won Best Bar for Monopole and Best Wine List for their CBD Restaurant, Bentley Restaurant & Bar. The latest edition of the guide also awarded Sebastian Crowther, Head Sommelier at Rockpool, the coveted title of Champagne Pol Roger Sommelier of the Year. 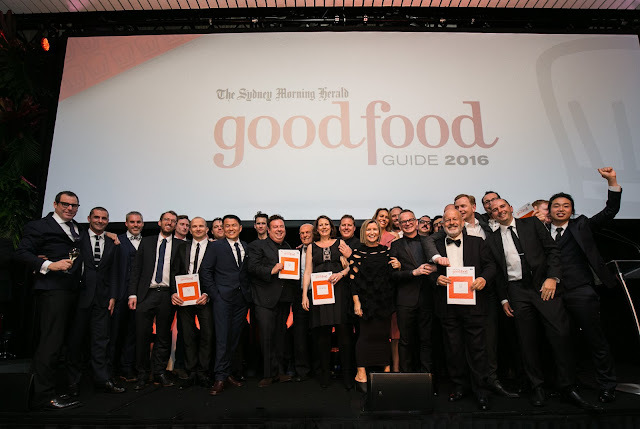 The teams that took out three hats in the Good Food Guide 2016. Photo: Lucas Jarvis. This year also saw the introduction of three new awards, with Best Cheap Eat going to Chaco Bar, a Japanese Grill House, and the People's Choice award going to the much-loved waterfront institution Catalina. 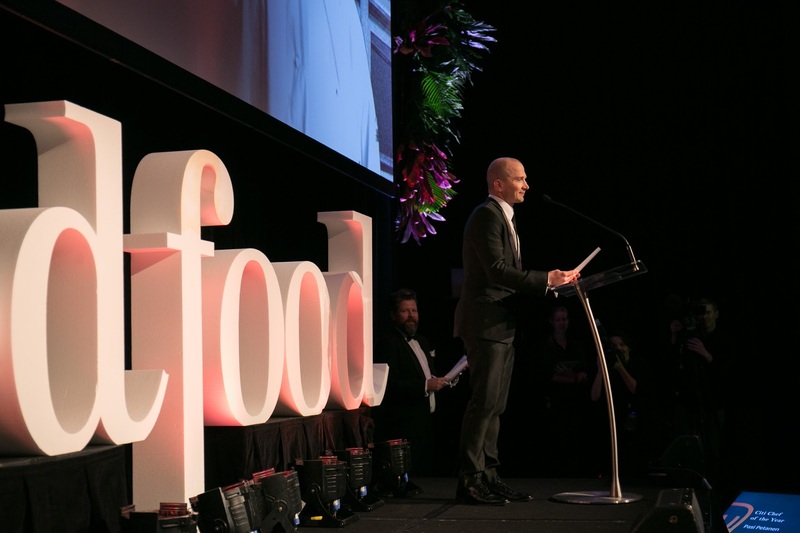 Rob Caslick was rightly overjoyed when he took to the stage to accept The Food for Good Award, which celebrates innovation, charity and sustainability. Caslick runs Inside Out Organic Soup Kitchen, which teaches young mothers and pregnant teens to eat well and cook for themselves, Two Good, which employs women affected by domestic violence and St Canice Rooftop Garden, run by asylum seekers providing produce to local business and the soup kitchen. 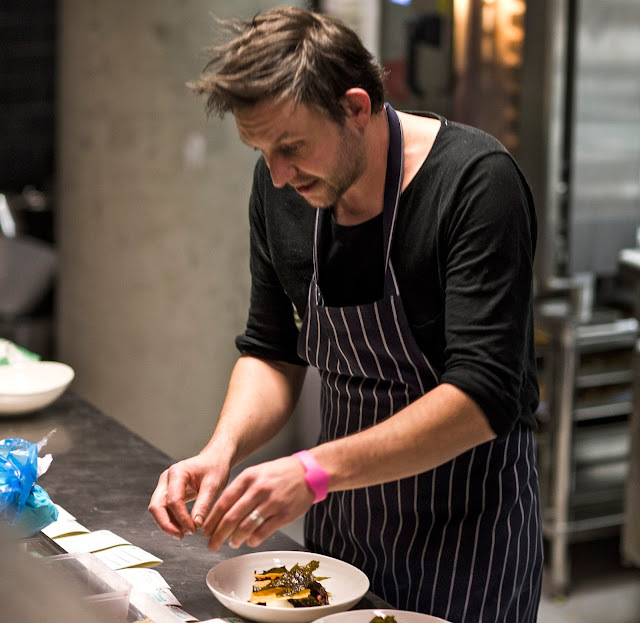 In other noteworthy news, Canberra finds its mojo with Monster Kitchen & Bar being awarded one hat as well as Regional Wine List of the Year while Muse Restaurant in the Hunter Valley retained its coveted two-hat status for the second year running with Troy Rhoades-Brown at the helm. 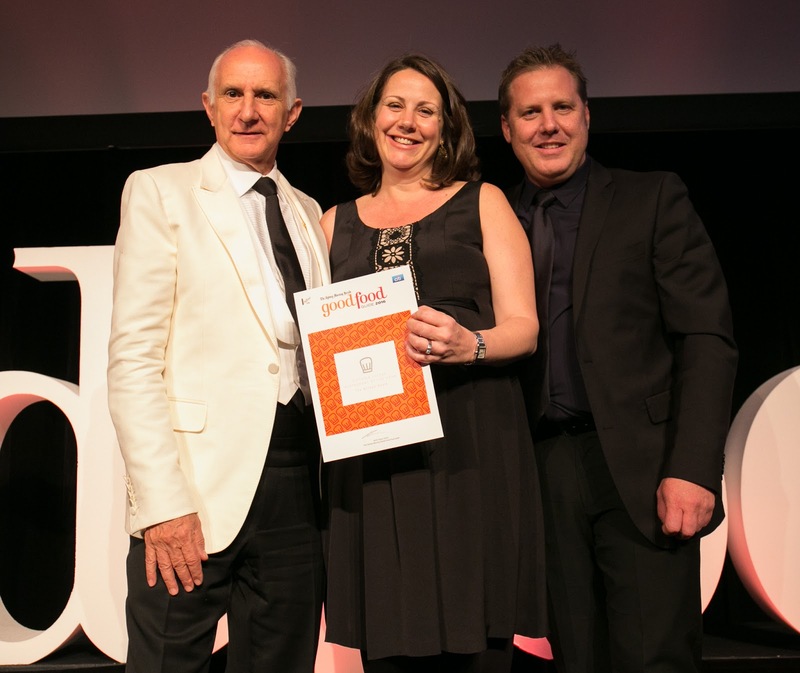 To get the full list of winners and grinners, visit the Good Food website. The Sydney Morning Herald Good Food Guide 2016 will be available from participating newsagents and supermarkets for $10 with the newspaper on Saturday, September 12, while stocks last. It can also be purchased in selected bookshops and online at smhshop.com.au/smhgfg2016 for $24.99. Carla Grossetti is one of 40 restaurant critics to contribute to The Sydney Morning Herald Good Food Guide.